The Obama administration has no shred of integrity left concerning the Benghazi scandal. Caught in the act with the "loaded gun," those in the administration are telling us it is a toy pistol, but no honest observer can possibly believe them anymore. It took a lawsuit to force the White House to release emails that reveal just how deliberate and fraudulent the plan was to deceive the press and the American public about the cause of the attack on our consulate in Libya. The incident and a nearby attack a few hours later, in which four Americans were killed, occurred in September 2012, just a few short months before the November presidential election. Obama's foreign policy credibility was on the line, for he had long boasted that he had al-Qaida on the run, despite his efforts to relax our war on terror into a law enforcement matter (except for his precious drones, of course). Reports emerged that there had been previous attempted attacks on the consulate and that our people there had asked for heightened security, which the administration callously rejected. Was this sheer indifference or a result of Obama's concern that enhancing security would signal a failure in his magical policy of appeasing terrorists? Either way, it was disgraceful. It was obvious at the time but is now undeniable that with cold premeditation, the administration hatched a sinister ploy to blame the attacks on an anti-Islam video that had surfaced on the Internet. There was no evidence that this video had incited the Benghazi attacks or that the attacks were spontaneous but much evidence that they were preplanned by al-Qaida terrorists. But the entire White House spin machine immediately went into overdrive constructing and disseminating this false narrative, even to the point of having federal authorities arrest the hapless creator of the video, whom they nabbed on other charges. This was a horrifying abuse of government power starting at the very top, and it is not the America any of us should love. Finally, after a year of withholding internal emails, the White House, under legal compulsion, turned them over to Judicial Watch. Included was an email from Ben Rhodes, an assistant to the president and deputy national security adviser for strategic communications, dated Sept. 14, 2012. Its subject heading was "RE: PREP CALL with Susan: Saturday at 4:00 pm ET," and the email was sent to about a dozen members of Obama's inner circle, including press secretary Jay Carney. --"To reinforce the President and Administration's strength and steadiness in dealing with difficult challenges." It was patently clear that the administration was not doing everything it could to protect its people and facilities in Benghazi. It had flat-out ignored or rejected their multiple requests for enhanced security and their expressed concerns about possible future attacks. The protests were not "rooted in an Internet video," as the CIA has made abundantly clear. In his congressional testimony, former CIA Deputy Director Michael Morell said that then-U.N. Ambassador Susan Rice is the one who linked the video to the Benghazi attacks but that the video was not part of the CIA analysis. In other words, the administration made it up out of whole cloth to deflect blame for its policy failures in relaxing the war on terror, intervening in Libya to seek regime change with reckless disregard for whether more radical forces would emerge stronger as a result, and abandoning our people and facilities in Benghazi. Also, the administration has been anything but resolute in bringing the people and forces responsible for these attacks to justice. An email on Sept. 12, 2012, to Rice from Payton Knopf, deputy spokesman at the U.S. Mission to the United Nations, confirmed the attacks were "planned in advance" and "complex," not spontaneous in reaction to a video. 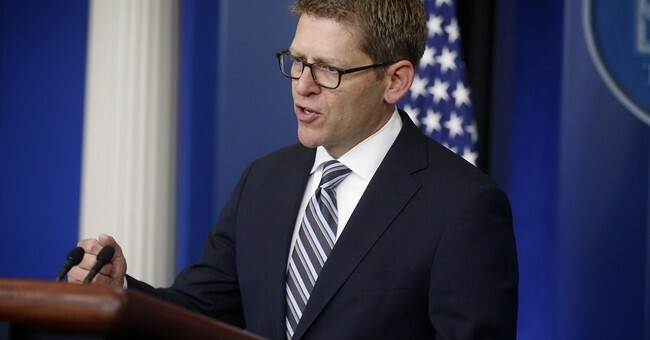 When reporters grilled Carney about the email from Rhodes, Carney disgraced himself by stating that the email was referring to the video's effect on all the protests in the Middle East, not just in Benghazi. Everyone knows that was a flat-out lie. The prepping of Rice concerned only Benghazi, and Rice's Sunday show lie-fest concerned only Benghazi because that was the only issue that might affect Obama's re-election. These emails confirm what we already knew: that the White House wholly concocted this idea to scapegoat the video to save Obama's skin and that everyone who mattered in the White House, including Obama, knew about it. It is inconceivable that he didn't. As the administration still won't come clean even in the face of these smoldering guns, it's time to convene a congressional select committee. No more games.